Beer, Beaches and Brushes: How to do Father’s Day in Virginia Beach! If a memorable Father’s Day celebration in Virginia Beach is what you’re after, look no further because we have the advice, tools, and resources that will shape the perfect memory for Dad. Father’s Day in Virginia Beach always marks an exciting time with the onset of summer! Can’t find anything special to bring to the table, so to speak? When in doubt: Travel. Whether you’re local and you gather Dad and the crew for a stay-cation at one of our vacation rentals or you travel from afar and need a home-away-from-home, all of our houses provide a back patio with a grill, a large dining room and open-concept kitchen designed for gathering and creating memories. Another perk: we do all the cleaning once you are gone (win-win). All you have to do is let yourselves in with the check-in details sent prior to arrival, fire up that grill, celebrate Dad and lock up when you’re ready to depart. Father’s day in Virginia Beach is sure to be a hit with an amazing vacation rental and these suggestions – and we are here to make it as easy and meaningful as possible. Dad’s deserve a whole week, not just a day! Email us at [email protected] with code DADSROCK and book a four bedroom townhome for any week in June and get 15% off the entire stay. There’s no shortage of opportunities during the month of Dad (June). This is absolutely one of the best parts of summer in Virginia Beach. Artists line the boardwalk for MOCA’s Boardwalk Art Show and Festival for 4 days of art, entertainment and food for the whole family. The Boardwalk Art Show and Festival, held June 14-17, 2018, is one of the oldest and best outdoor fine art shows on the Eastern Seaboard and named the 3rd best Art Show in the nation by the Sunshine Artist publication! The show runs Thursday – Sunday and is free and open to the public. Locals Tip: We do recommend a bike or catch the iconic VB Wave trolley if you plan to walk the entire show as parking can be a nightmare and the show runs from 17th-32nd Streets (5 miles). The possibilities are abundant this time of year! There is no better way to bond with dad and place a smile on his face then treating him to a fishing trip! When it comes to off-shore fishing, Virginia Beach has some of its best fishing during the month of June. Coastal Accommodations has partnered with the top local fishing charters and ensure guests only experience the best. Whether you’re looking to fish for Bluefin, Marlin or Spot, we have you covered. The Super Run 5k, held on June 23, is a fun family event that is held at Mt. Trashmore Park: 300 Edwin Drive, Virginia Beach, VA 23462. Bring your mask and cape and get your run on! Do heights give you excitement? We have three great recommendations for you that are not only unique but thrilling as well! iFly Indoor Skydiving is a fun, safe adventure for the whole family (catering to ages 3-103). You will be enclosed and lifted in the flight chamber to simulate a sky-diving experience. And you can leave out that whole jump out of the plane bit! For a one of a kind experience that will get you guys out of your comfort zones, be sure to make The Adventure Park at the Virginia Aquarium one of your first stops. This aerial forest park will have you swinging through the trees. The course includes 15 trails made up of ropes, platforms, high-wires, ladders, and zip-lines across the 6-acre maritime pine grove. The trails have different difficulty levels which makes this adventure great for ages 5 on up! Go no further than O’Connor Brewing Company for a Micro Blacksmithing lesson. While enjoying one of their seasonal or tried and true craft beers that put them on the map, you will have the opportunity to hand forge your own bottle opener. There are a limited number of available time slots between 1:00 PM and 4:00 PM for one-on-one instruction. So sign up ASAP and they will contact you to schedule your instruction time. 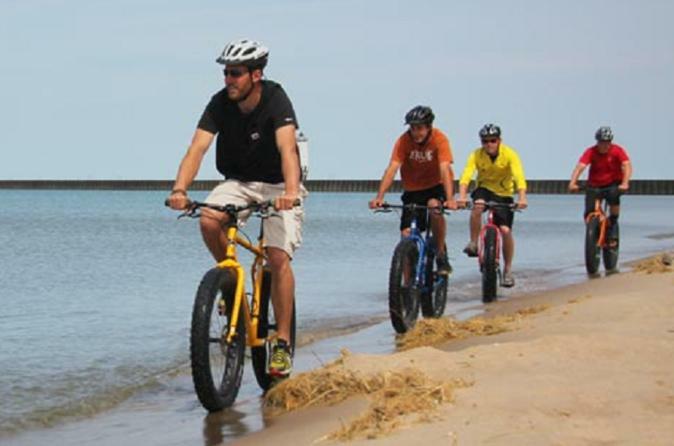 Or our guest services agent can book this for you- and add on some beach cruiser rentals to help you get around in true beach style! If Beer is your Dad’s thing then you can find some of the best breweries in the state here at the beach within about a 20-mile radius. Therefore, you either have to be a local or a seasoned visitor to have a good grasp on what each has to offer and where to go! The atmosphere is what Back Bay Brewing Co. is known for. Settled in a beach shack style setting, this brewery mixes Virginia Beach’s love for the beach with wildfowl and hunting. There’s also O’Connors Brewery, Smartmouth, Young Veterans Brewery Company, Commonwealth Brewing Company, Pleasurehouse Brewing, Reaver Beach Brewing Co. Wasserhund Brewing Company and Home Republic Brewpub– with more popping up each day. If beer is your thing and you want to try the gamut and cannot make any of the beer festivals, do not fear. There are great brewery tours we can schedule for you to find your favorite spot. Food trucks litter the breweries to keep patrons well-fed. A brewery tour can quickly become a culinary food truck tour as well! If food is the priority then a food tour could be the perfect fit for your crew. These tours can take you to several different restaurants as you to sample local fare and drink favorites as well as learning the history of our great city. If Dad is an Oyster lover, we recommend the Oyster Tour that we can help you book with one of the listed packages! This tour is really one of the hidden gems of our town! If your Dad loves (or needs) time to CHILL….. They say that saltwater heals everything! Whether at the beach by boat, bike, paddleboard or even flyboard, relax by the water and focus on family time. Between the ocean, the bay and the rivers that run through Virginia Beach, accessing water is always an option. 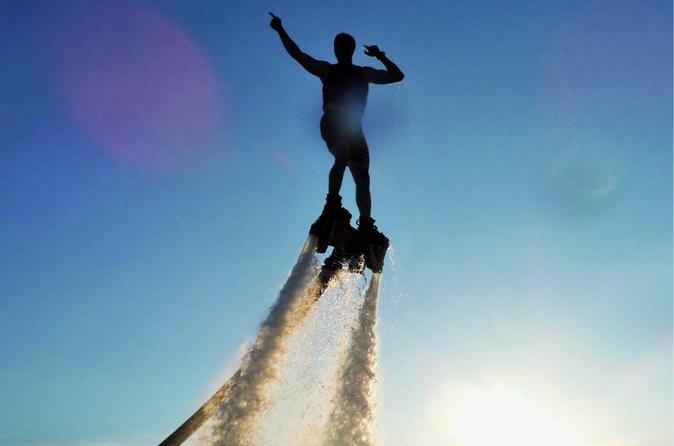 Be sure to contact us if you would like us to book your pontoon boat rental, fishing charter, bike and beach equipment rental, paddleboard lesson or rental or flyboard experience!